The 2018 Volkswagen is ready to take on Warwick, West Warwick, and Providence. 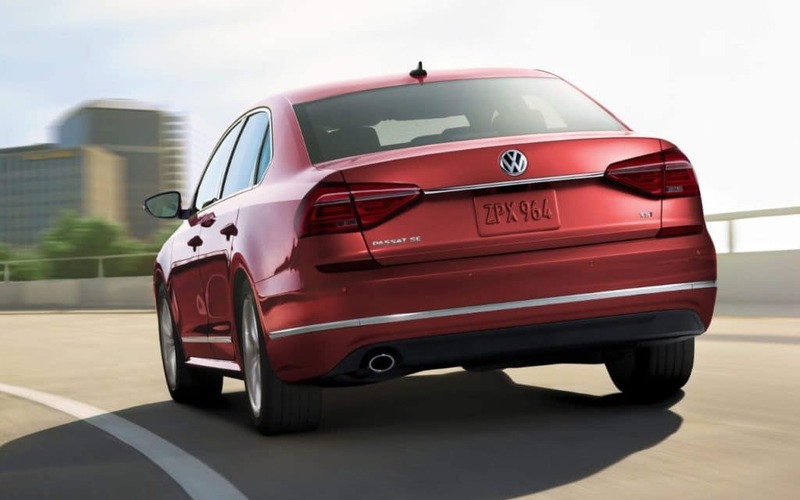 If you’ve been shopping for a midsize sedan, look no further than the new Volkswagen Passat. It’s loaded with features and luxuries that even your passengers will brag about. But don’t take our word for it – visit Balise Volkswagen today! The new Passat is the whole package because it comes with advanced safety features that work hard to keep your loved ones safe in the event of a collision. High-Strength Steel body panels, a rigid safety cage, and seven stability-enhancing features are key. More safety-enhancing features include an Electronic Brake-pressure Distribution system that helps maintain appropriate stopping power when a hard brake situation occurs, an Electronic Stability Control system that adjusts engine throttle and applies corrective forces to the wheels when needed, and more. When it comes to advanced technology features, the Passat delivers. The available Volkswagen Car-Net® App-Connect that offers drivers access to their favorite compatible smartphone apps right on the touchscreen display. Rock out to your favorite music on the 400 watt Fender® Premium Audio System that disperses clear, concert-quality sound throughout the cabin. We have the Volkswagen Passat ready for you to test drive. If you’re near East Providence, Pawtucket, RI or Attleboro MA, a trip to Balise Volkswagen is only a short drive away. For more information about leasing or purchasing a 2018 Passat, please feel free to contact us online!